ABC has been on a cancellation rampage that has seen the end of everything from Agent Carter to Nashville, but the biggest shocker has to be the official end of Castle. ABC has been courting actors to return for another season, with even star Nathan Fillion signing on for another year as Richard Castle, so the cancellation may come as a very sad surprise for Castle fans. To soothe our angered souls, lead actress Stana Katic had some lovely words in a note penned for Twitter that may somewhat soften the blow of the cancellation. Dear Castle fans, cast, and crew: Your devotion to our show has carried us for these unforgettable 8 seasons. I’m lucky to have met and worked with and for the lot of you. I will always be grateful. BIG HUG, Stana. Stana Katic’s note on Twitter adds some sweet to the bitterness that some longtime viewers are undoubtedly feeling at the cancellation of the show. The fact that she actually handwrote the note and took a photo rather than just tweeted the gist in 140 characters or less makes the message feel all the more heartfelt (or #Heartfelt). She had a good run on a fun show, so it’s nice to see her reach out to the fans who helped keep Castle on the airwaves for the better part of a decade. Her message is even nicer considering the recent controversy surrounding her Castle exit. ABC chose not to offer Stana Katic the option to renew her contract for a ninth season because of budget reasons. Along with costar Tamala Jones, she was not going to be brought back for another year of Castle whether she liked it or not. There had been rumors that Season 8 would be Stana Katic’s last in the role of Kate Beckett. Still, it was hard to imagine that the series based on Beckett and Castle's partnership would continue without Beckett. Castle was founded on their chemistry both as partners in crime-fighting and as a couple. Even if ABC had felt that Beckett’s story had been told in entirety, cutting Katic meant cutting Caskett. The show may be named after Nathan Fillion’s character, but Katic has been his co-lead from the very beginning. Castle would have been a very different show without Beckett. There’s only one episode left in Season 8, so we’ll soon be seeing the last of both Stana Katic and Nathan Fillion as the dynamic Caskett duo. The fate of the show was still very much up in the air when filming was wrapping, so producers actually shot two endings for the Season 8 finale in the event that it turned out to be the series finale. Perhaps Castle’s cancellation means that Beckett won’t be killed off to make an exit from the show. 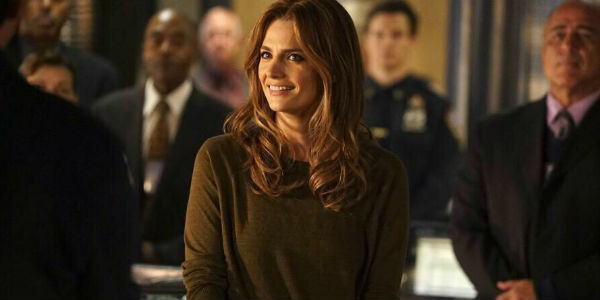 To see the final episode of Castle, tune in to ABC at 10 p.m. ET on May 16. Check out our rundown of what cancellations and renewals have been announced so far, and don’t forget to take a look at our summer TV premiere schedule.